It’s Wednesday night. The Aphesus I group is about to sail south toward a cove filled with pearls - and the living dead. 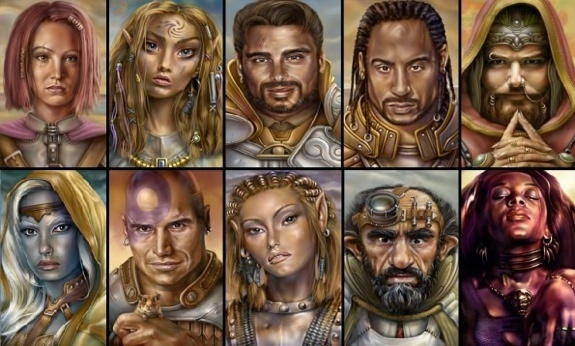 At the moment, that’s all they know about it because that’s what their patron, a minotaur captain named Harak, told them. However, as they delve deeper and deeper into the dungeon, they discover more. 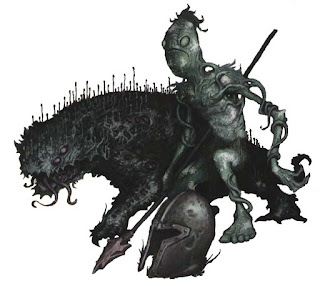 The undead they’re encountering are huge, 10 feet in size and sport odd, dark blue skin; runes dot the walls, unreadable by anyone in the party; the passages inside are tall and wide; moss-covered, marble statues lay collapsed on the ground, most of a beautiful, lithe woman with a necklace of pearls. As they continue, they find another statue of a huge human holding hands with this same woman; clasped in their molded hands is a giant pearl with a five-pointed star inscribed on it. What could this mean? That’s a lot, you might be saying. You’re right, but it’s all relevant and adds a ton of depth to the dungeon and its eventual end. 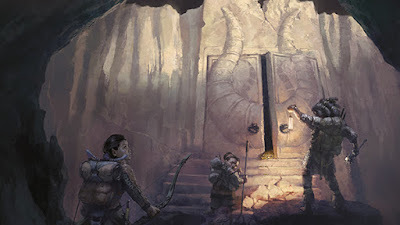 Dungeons should be rife with secrets and plenty of clues to those secrets, stuff to give curious players something to look forward and latch on to besides combat. 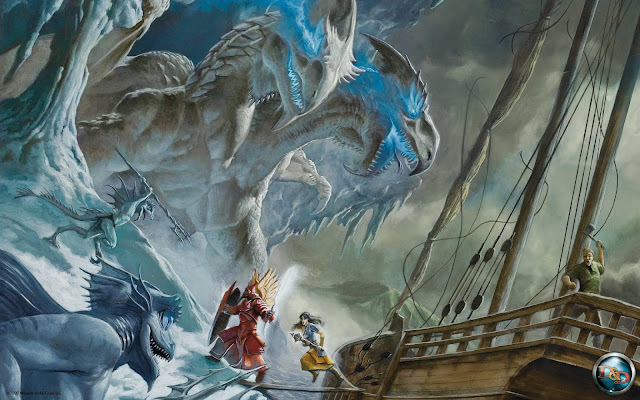 Remember: The three pillars of DUNGEONS & DRAGONS are Combat, Roleplaying, and Exploration, and all good dungeons should contain all three of those elements. In this installment of Legendary Lessons, we’re learning how to create relevant history for dungeons; this history will not only give your dungeon depth, but tons for your group to discover while they’re within. Let’s roll. 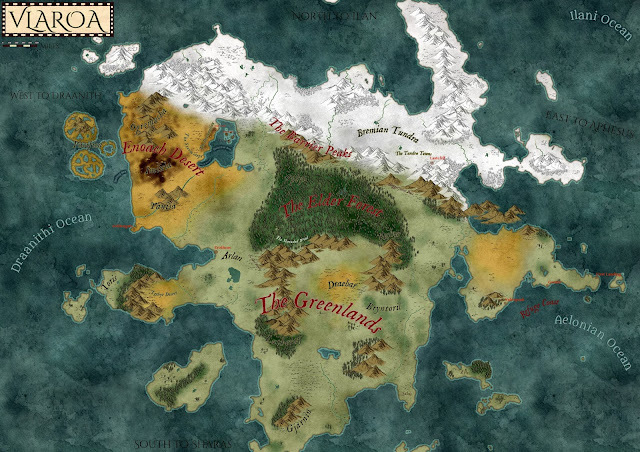 Around 90 years before the party delves into it, a frost giant druid and a female human merchant ran off to the cove. The giant made it a paradise filled with vibrant vegetation, warm springs, lovely animals, and places to store her favorite gems: Pearls. They had many children who learned their father’s ways and lived inside this paradise, thriving. However, the human lady eventually passed as did her half-giant children (who have sped up lives in my setting), leaving the frost giant alone. 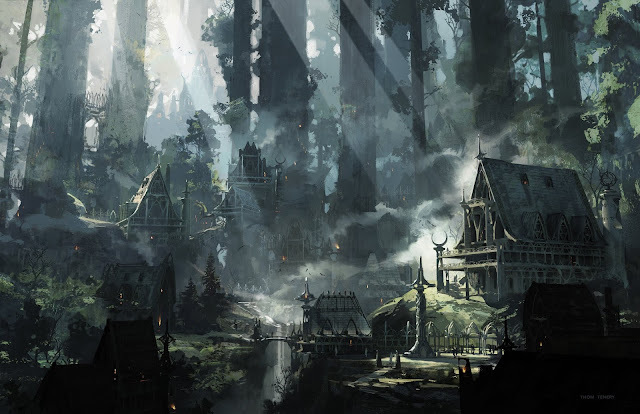 The cove grew cold and icy, the vegetation rotted, and the giant turned to dark magic. In an attempt to resurrect his love and children, he performed a ritual to raise them that involved necromancy. It failed but he raised them - as mindless undead. Unable to slay his own family, he locked himself away in the depths of the cove. Now, he waits for his family’s undeath to miraculously end, unable to end his life or theirs by his own hand. The huge undead skeletons and zombies? Half-giants. The runes? Druidic glyphs written in Giant. The large passages? For the giants to move through. The moss and strange, rotting vegetation? 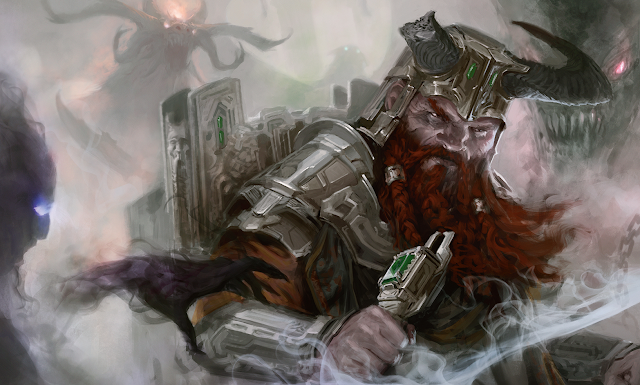 Druidic magic gone awry. The pearls? The favorite item of the frost giant druid’s wife. The marble statues? Representations of his wife. Everything in Cursed Pearl Cove stems from the main history I chose for the dungeon: Love. The giant made the cove because of love. He tried to resurrect his family because of love. He locks himself away, unable to kill or flee, because of love. Devils: A bone devil has created a shrine to Asmodeus in the ruins of a former temple of Tyr. Lizardfolk tribes nearby have taken interest in the devil’s renovation of the site. Planar: A grand mountain that shifts between the planes appears near a powerful city. What lurks within comes from all the different planes of the multiverse. 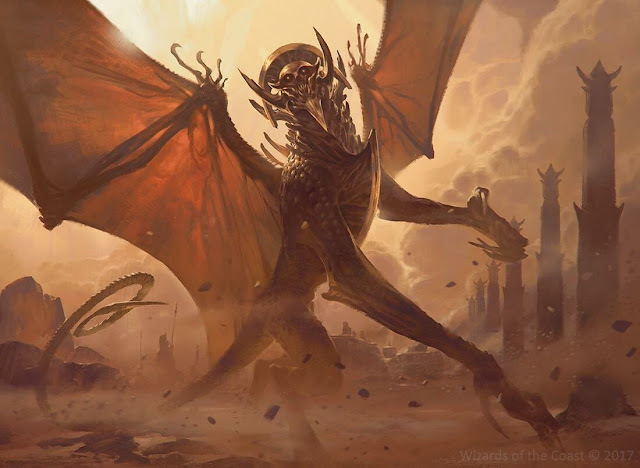 Sand: A hunting group of thri-kreen discovered a collapsed tower beneath the sands of a windy desert. They’re not the only ones using it as a home. Pain: Lord Aver’s dungeon is infamous for spitting out prisoners who never disobey his orders again. Your friend was wrongfully taken and Lord Aver won’t release him. 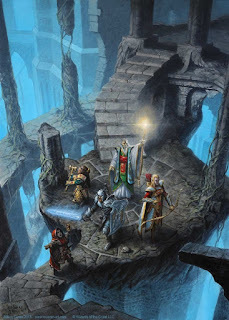 Afterward, connect your pillar to some or all of the encounters in your dungeon, from combat to exploration. Moving to an exploration encounter, the ruined and overgrown statues throughout the cove are fashioned after his wife, himself and her, of their children. They point to their love and her love of pearls - something that comes in during a puzzle deeper in the dungeon. Groups who don’t explore a tad or don’t pay attention to the ambient description of the dungeon will certainly have difficulty later on. 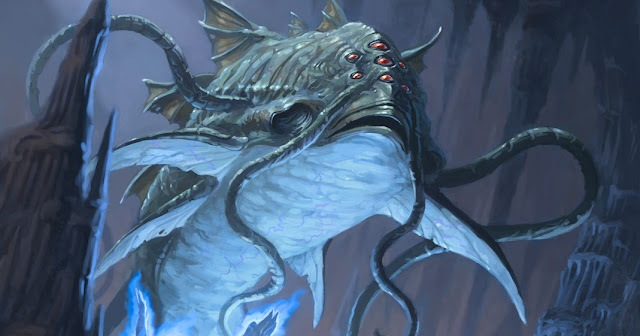 As for a roleplaying encounter based on love, the obvious is the ultimate confrontation with the frost giant druid in the depths of Cursed Pearl Cove. How will he react to the news that the party killed his undead family? Will he attack them? Will he muster the courage or power? My party will find out eventually. Take notice: All of the “history” I created for my dungeon will be relevant to the group when they delve into it. Sure, I might have in my mind how the couple fell in love, the names of their children, and where the wife’s family on the surface is now, but that’s not exactly relevant to the dungeon; perhaps it’ll come into play while portraying the giants, perhaps not. The history you make for your dungeon should be relevant. If it’s a big dungeon, write more! If it’s tiny, write a sentence or two. In both cases, ensure it’s relevant to the moment, to the here and now adventures of the party. Use a single pillar to build your dungeon’s history (devils, humans, gold, lava, etc). 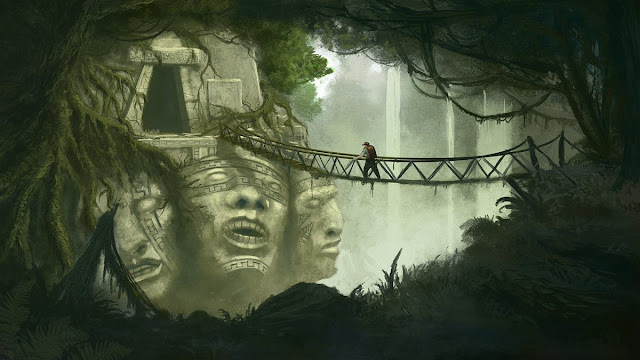 Connect this pillar of history to a few, some, or all of your dungeon’s encounters. Trim information that’s not relevant to the group. I hope you enjoyed this piece! 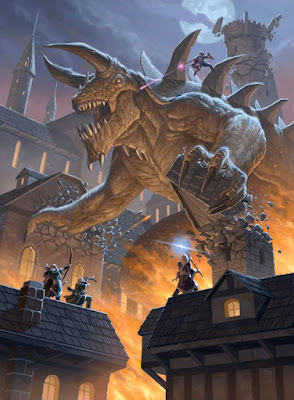 Next week, we’re returning to Musing Over Monsters to dissect an iconic monster both in D&D and the real world: Lizardfolk. Great article! I love the format of your articles, cant wait for the next one. Nice article, really enjoy reading these and the obvious passion you have for the greatest game ever created! Keep it up RJD20!! !